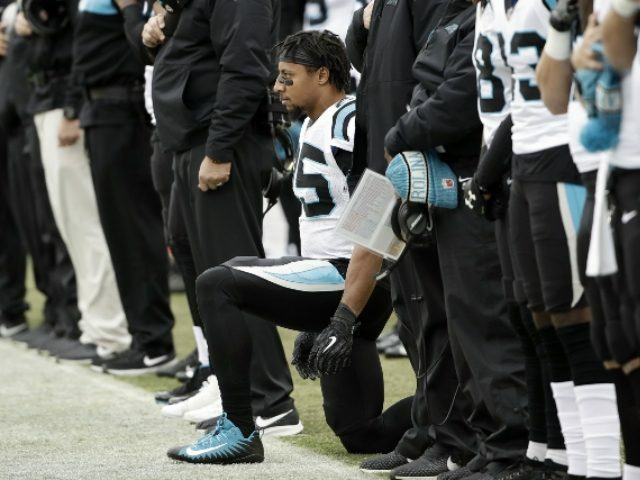 The Carolina Panthers have rewarded Eric Reid, one of the league’s original and few remaining anthem kneelers, with a hefty contract renewal. Reid has signed a deal worth $22 million, however, incentives could take the total to $24 million over the next three years. The veteran safety started in 13 games during the 2018 season despite getting a late start after turning free-agent on September 28. He made 71 tackles, defended five passes and grabbed one interception last season. Reid was one of the first players to join former teammate of former San Francisco 49ers quarterback Colin Kaepernick’s protests during the playing of the national anthem, and despite missing the 2018 off-season, the 2013 first-round draft pick renewed his protests when he was finally signed by the Panthers. Reid joined Kaepernick in a lawsuit charging the NFL and its owners with “collusion” for keeping the two players off the field as punishment for their social justice activism. Reid has also claimed that the random drug tests he was subjected to last season were also a form of punishment for his protests. However, a joint probe into the testing was conducted by the league and the players union, but no evidence of impropriety was found.